This rural two-roomed national school is situated in the sparsely populated and boggy townland of Ballymackeehola in north-west Mayo. With little tree cover, the area is often wind-swept, with the Atlantic Ocean sometimes bringing a damp and harsh gale. Lough Conn lies to the south with Kilala Bay lying lying to the east. The nearest urban centre is the town of Ballina located approximately 9 km to the south-east. The surrounding farmland is poorly drained with little or no tillage farming. 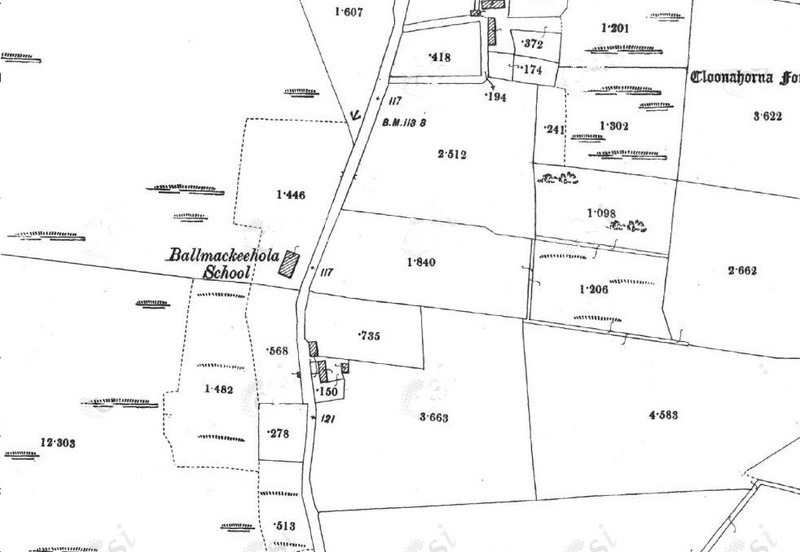 The First Edition Ordnance Survey sheet for the area shows a number of small Clochan settlements in the townland, although this isolated and now disused school house is perhaps the only evidence of infrastructural investment in the area over the past 200 years. The plaque above the doorway dates the construction of the school to 1895. It remained in use until 1969. The building comprises a detached four-bay single-storey national school with a pitched slate roof with clay ridge tiles, red brick running bond chimney stack having lichen-covered chamfered capping supporting terracotta pots, timber barge-boards to the gables on timber purlins, and no rainwater good surviving on exposed timber rafters retaining cast-iron down-pipes. The interior of the school house remains in a good state of preservation with many of the original fittings and fixtures still in place. Unfortunately, the northern gable of the building has had a hole recently knocked in it to allow livestock enter the smaller classroom. 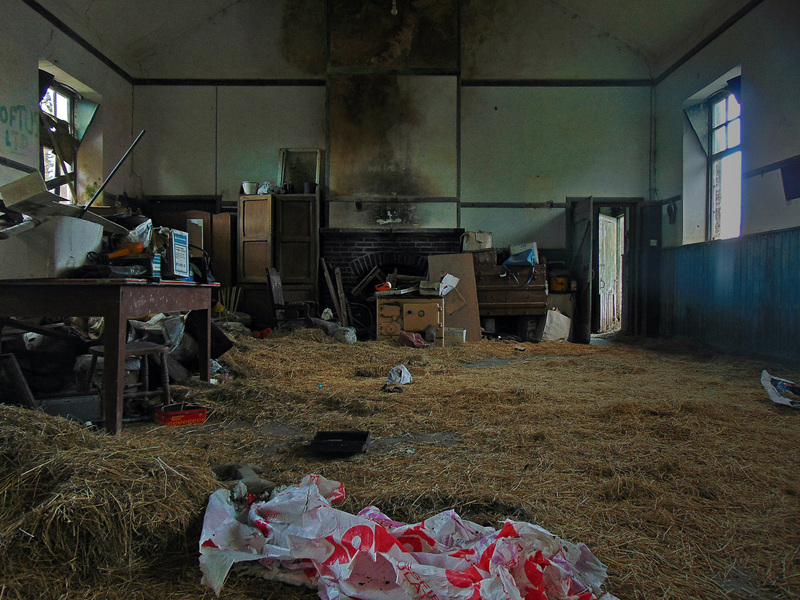 Entering through the hallway/cloakroom, standing in the main classroom and facing the charred chimney breast, it is easy to imagine lessons taking place in this setting, though nothing of the sort has occurred here in nearly 50 years. 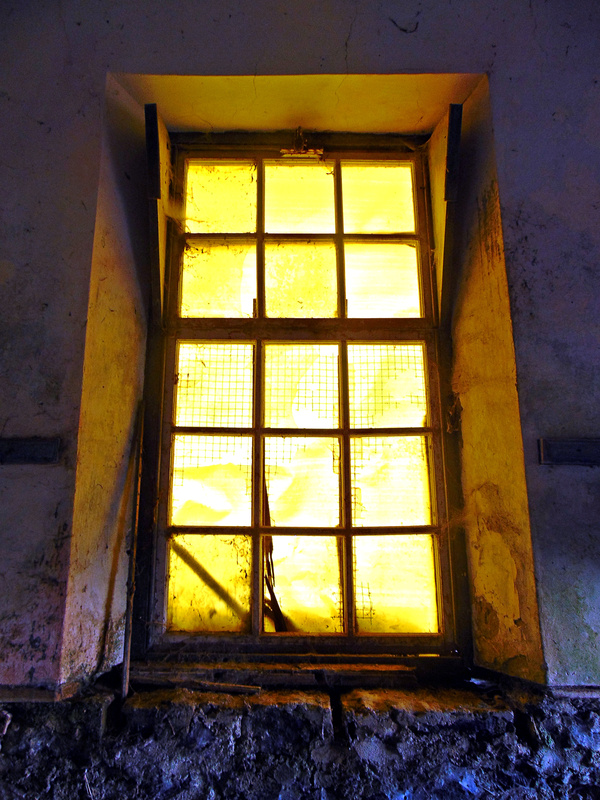 This dilapidated national school represents an integral component of the later nineteenth-century architectural heritage of County Mayo. A prolonged period of neglect notwithstanding, the elementary form and massing survive intact together with substantial quantities of the original fabric, thus upholding the character or integrity of a national school making a pleasing, if increasingly forlorn visual statement in a sylvan setting. The building is perhaps particularly poignant, set against the isolated and depopulated landscape of the area, and harks back to a time when there were sufficient children and families in the area to support it. 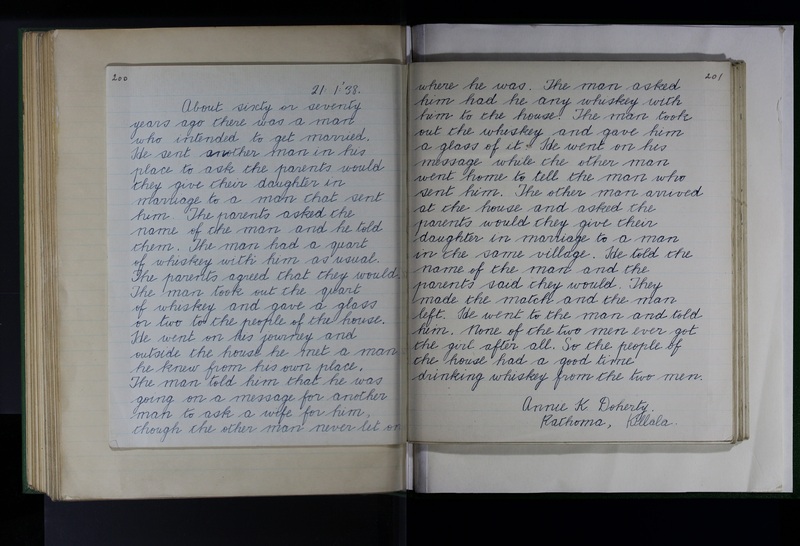 Below is an extract from the Irish Folklore Commission’s Schools Folklore Scheme (1937-38) gathered by school children in the townland in 1938 which relates some of the high-jinx that occurred in the area during the mid-to-late 19th century. If you or someone you know attended this national school, please do get in touch and share any stories, anecdotes, photographs, or any other memories you may have.